All drums, amps, and a keyboard will be provided for use. 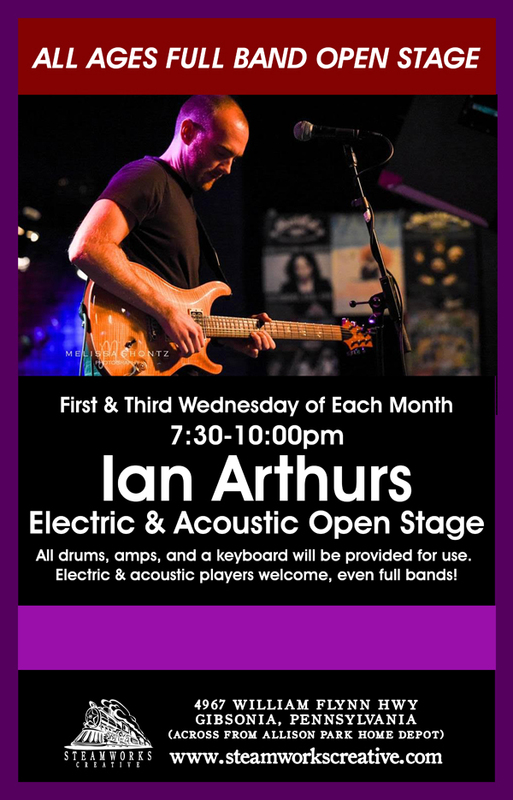 Electric and acoustic players welcome, even full bands! 7:30pm – The 1st & 3rd Wednesday of every month, There is no alcohol permitted at these shows.